These Light Amethyst Gold Luster Tila beads have a flat, square shape with two beading holes and measure 5mm. Hole size is .8mm, so threads such as KO and Nymo work well with them. Made by Miyuki, Tila Beads are uniform in size and shape. 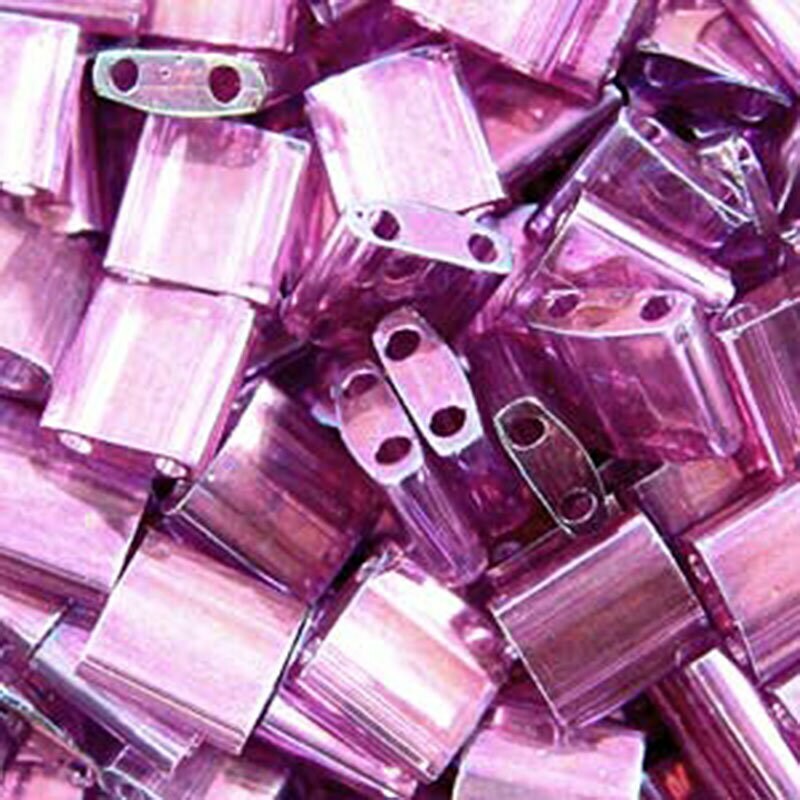 There are between 85-95 beads per tube, depending on the weight of the coating of the beads.